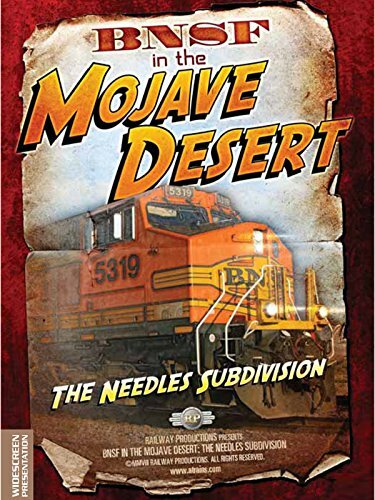 Travel to California and the beautiful Mojave Desert where you wil enjoy big-time railroading along BNSFs old Santa Fe mainline between Needles and Barstow. Over 60 trains a day. This railroad features long grades and dramatic changes in elevation, from a low of 488 feet above sea level to a high of 2,600 feet. Beautiful scenery, and great railroading action. Railway action for any railfan.